Price from 14.990 ISK PER PERSON. You don’t need to be a certified diver in order to experience water at its clearest! Snorkeling in Silfra is for everyone who feels comfortable in water and is a fantastic adventure for the whole family. We offer daily snorkeling in Silfra where you will float between two continental plates, surrounded by the astonishing clarity of the water and the mesmerizing colors of this underwater world. If you choose to use our transportation service, we will pick you up in Reykjavík and drive with you to Thingvellir National Park. During the one-hour drive, your guide will provide you with background information about the unique geology and cultural history of Silfra as well as the surrounding area of the UNESCO world heritage site – Thingvellir. Upon arrival at Silfra, your guide will give you your dry suit and snorkeling equipment. Your guide will explain how to use this equipment and how to ensure that you will be warm and comfortable during your 30 to 40 minute snorkeling tour of Silfra Hall, Silfra Cathedral, and Silfra Lagoon. During your snorkeling in Silfra you will explore the four main parts of Silfra. You will float through Big Crack, Silfra’s narrowest section and where the continental plates are so close you can almost touch them. Pick up service from Reykjavík is not available for all of the tours. If you need transportation, please be sure to pick a tour that gives you the option of pick up in Reykjavík. Pick up in Reykjavík begins one hour EARLIER than the tour times shown below. 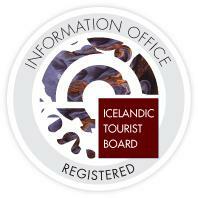 If you book a tour without transportation, you will meet us directly at Thingvellir Park.